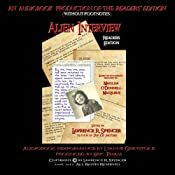 Welcome to the Official website of the book, Alien Interview, edited by Lawrence R. Spencer. The events and information described in this book have been the subject of the most thorough and infamous government cover-up in history. This website is created and maintained to help you, and all Is-Bes on prison planet Earth, to discover information that you may find useful in YOUR PERSONAL JOURNEY of self discovery and emancipation. The following video is an actual recording of the ABC Radio program that announced this UFO crash in July, 1947. The entire incident has been brutally covered-up by US military and “intelligence” forces since that time. 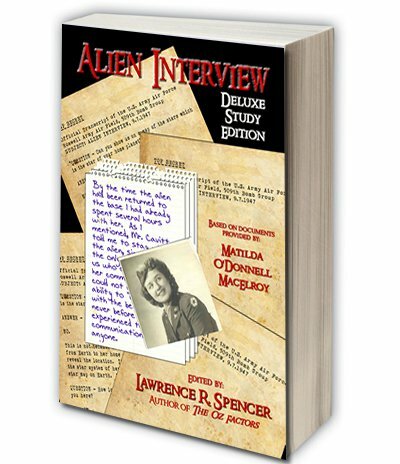 The Alien Interview Introductory Video: In 1947 there was a UFO crash near Roswell, New Mexico. US Army Air Force Nurse Matilda MacElroy was assigned to duty at the 509th Bomb Group. 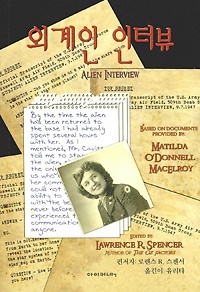 One of her duties was to interview the surviving pilot of the UFO crash near Roswell. 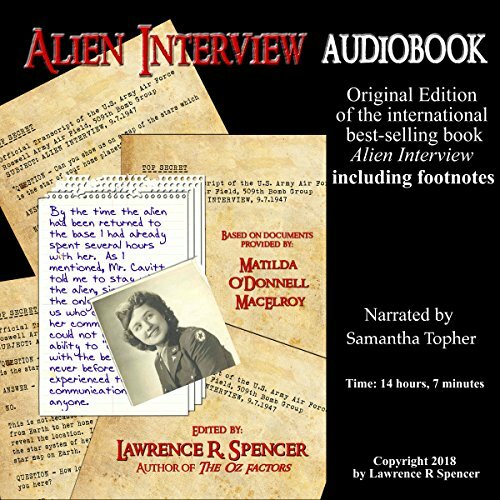 When she was discharged from service at the conclusion of these Top Secret interviews, she was able to hide and keep a copy of the typewritten transcripts of her interviews with the alien pilot, who she refers to as “Airl”, for 60 years! At the age of 83, in 2007, she mailed the transcripts together with her personal notes and two letters of explanation, to Lawrence R. Spencer, shortly before she committed suicide. Mr. Spencer invested many months in research to verify the authenticity of the information he received. These are included in the book in the form of “footnotes”. The transcripts, personal notes and letters from Nurse MacElroy were published after her death, as a free PDF file on the internet, as well as a printed book and as an audio book. Since the original publication, Alien Interview has been translated into many languages, all of which are available through this website. Recently, The Is-Be Alliance (watch the video) was formed by a group of people who have discovered new insights and revelations about themselves and life on Earth after reading the book. COMING SOON! 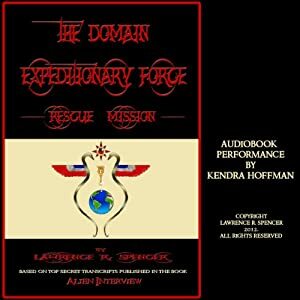 Alien Interview Webinars: The Is-Be Alliance is creating a series of Webinars to help make the information contained in the book ALIEN INTERVIEW know to the Is-Bes of Earth. These webinars are intended to use state-of-the-art production facilities to help share new information, revelations and discussion with the editor, and others, concerning the information revealed in this revolutionary book. WARNING: These webinars are intended for SERIOUS STUDENTS of the Alien Interview book. Some of the material discussed in these webinars may be deeply disturbing and “unbelievable” to people who do NOT WANT TO KNOW what is really happening on Earth, in the galaxy and WITHIN the “universe” of our own lives and minds — a subjective reality of each person as an Immortal Spiritual Being: Who YOU Really Are. These webinars are not intended to be “motivational”, or “entertaining”. In fact, these webinars may change your entire “life paradigm”. If you are only interested in purveying or defending some religious or political or financial “vested interest”, your money will be refunded and your account may be cancelled without notice. However, if you are honest with yourself, and genuinely want to explore what is “true for you”, we welcome you to join us in our mutual exploration of possible emancipation from the physical and spiritual imprisonment we know as “Earth”. “Frankly, “reasons” have nothing to do with reality. There are no reasons. Things are what they are. If we don’t face the facts of our situation, we’re going to stay under the thumb of the “Old Empire” forever! The biggest weapon the “Old Empire” has left now is our ignorance of what they are doing to all the IS-BEs on Earth. Disbelief and secrecy are the most effective weapons they have! The government agencies that classified the enclosed transcripts as “TOP SECRET” are run by IS-BEs who are nothing more than mindless automatons covertly ordered about through hypnotic commands given by the “Old Empire” prison operators. They are the unknowing slaves of unseen slave masters — and all the more enslaved by their willingness to be slaves. Most of the IS-BEs on Earth are good, honest, able beings: artists, managers, geniuses, free thinkers and revolutionaries who have harmed no one, really. They are no threat to anyone except the criminals who have imprisoned them. They must find out about the “Old Empire” amnesia and hypnosis operation. They must remember their own past lives. The only way this will ever happen is to communicate, coordinate and fight back. We have to tell other people and they have to discuss it openly with each other. Communication is the only effective weapon against secrecy and oppression. This is why I am asking you to tell this story. Please share these transcripts with as many people as you can. If the people of Earth are told what is really going on here, perhaps they will begin to remember who they are, and where they came from. For now, we can begin our own release and rescue with words. We can be free again. We can be ourselves again. Perhaps I will meet you in person, with or without a body, somewhere in our Eternal Future.